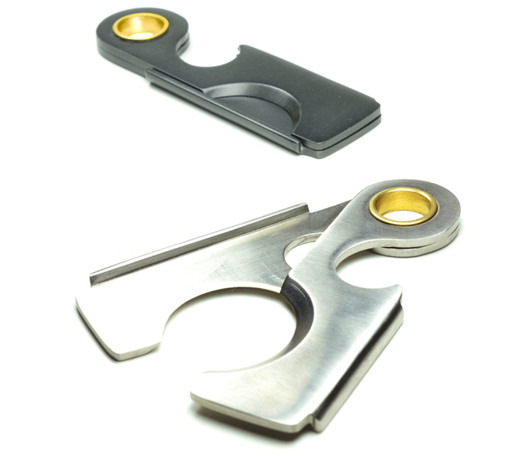 Screwpop™ Cigar Cutter is one of the most sleek and outright amazing tools in the cigar market. 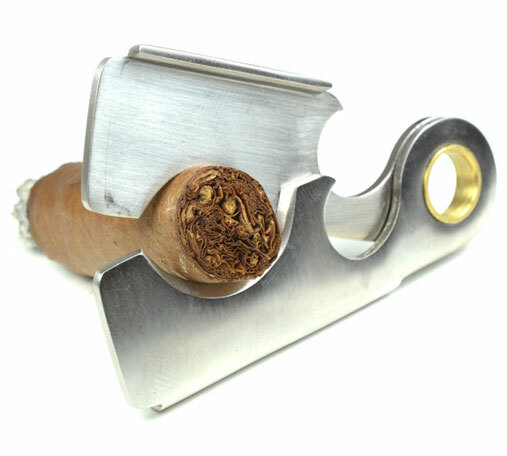 The Cigar Cutter could easily be mistaken for a straight edge razor upon first glance. However, our ingenious design uses a folded wing detail that dubs as finger grips. And, it closes safely into place under a high quality engineered friction fit design so it can travel with you. 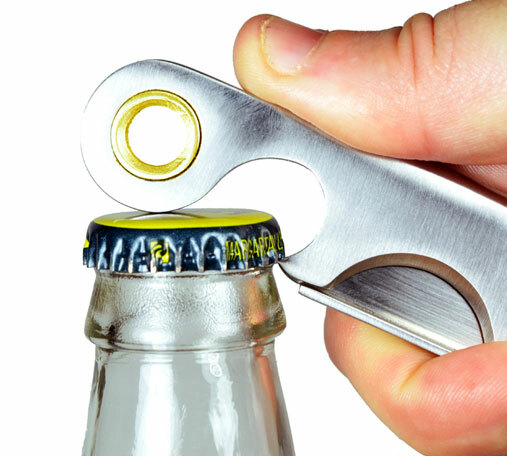 Incorporating a bottle opener is a must. 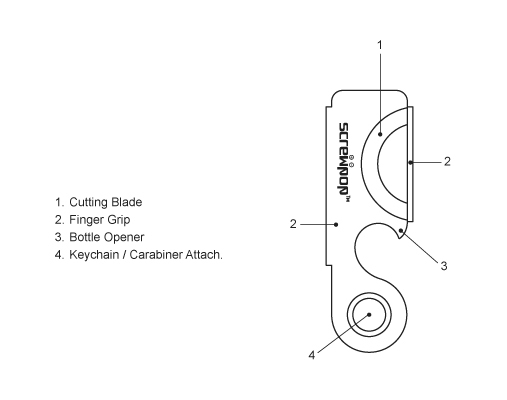 We racked our brains and were able to cleverly sneak one in on this truly compact Cigar Cutter design. 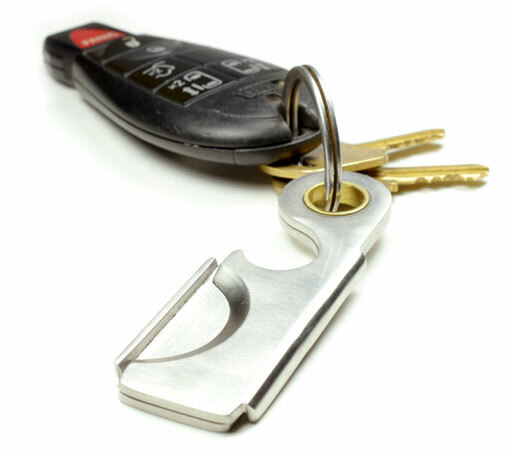 The Cigar Cutter fits on a keyring or carabiner clip… and works great! middle of a cigar or thicker end of a torpedo? clean-cut. The dominate hand should hold the Cigar Cutter with the aid of the other hand for added pressure. 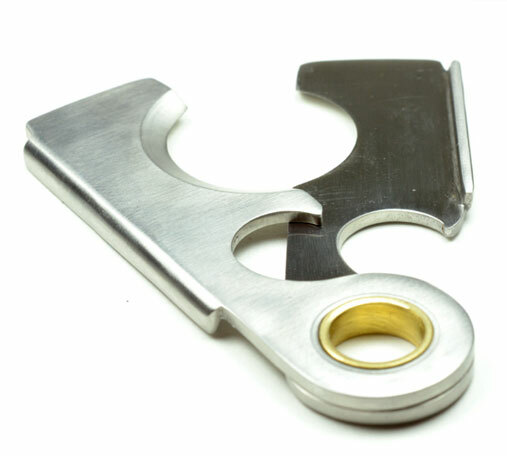 This is will help keep the Cigar Cutter in perfect orientation for an exceptional clean cut! 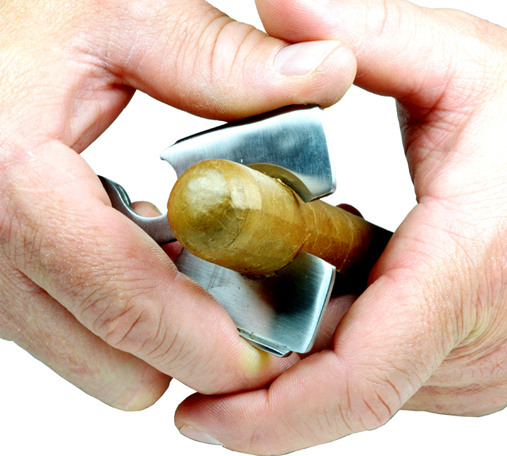 Q – Is the Cigar Cutter bulky? A – No, no… and no! 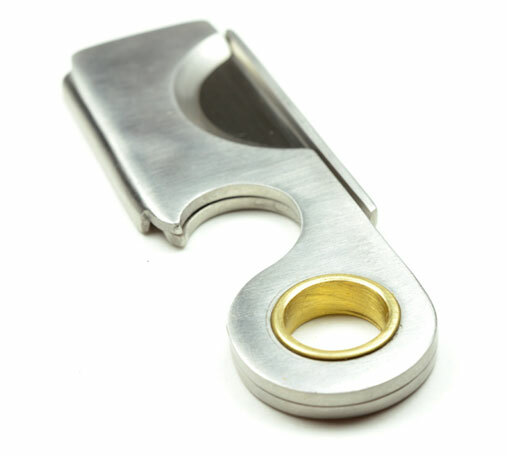 Q – How does the Cigar Cutter stay shut? 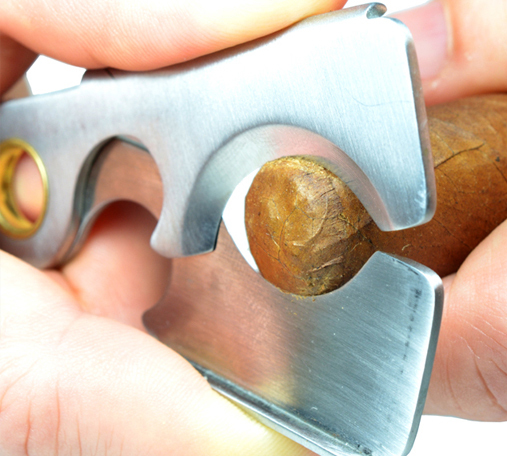 Q – Is the Cigar Cutter easy to use? 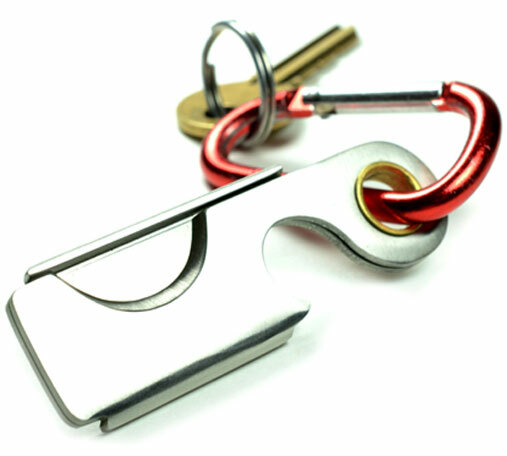 keyring… same with the bottle opener detail. Q – Can I leave the Cigar Cutter outside with my ashtray and will it rust? Visit Screwpop Tools to purchase.